Usability testing is one of the best parts of my job. 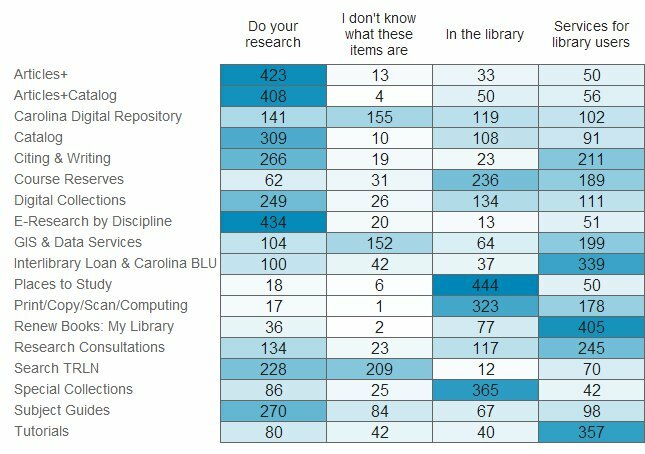 I love hearing from users about how they interact with the library’s website and then figuring out what we can change to better meet their needs. The dark side of this testing is the sheer time involved. Recruiting, scheduling, and sitting down with each individual user can be a daunting commitment of staff hours. I’ll say upfront: that type of testing is still great! It definitely has a place. But we’ve started using a tool that lets us run more tests, more often: Optimal Workshop. One important bit: While Optimal Workshop has a free plan, you’ll get the most out of it if you spring for the paid level. It’s on the pricey side, but keep in mind that they offer a 50% discount to educational customers. 82% of clicks were either in our main search box or on the link to our catalog. That’s great! They were able to find their way to a book search easily. Another 7% clicked on our Research Tools menu. While that’s not ideal, it’s also not a bad option; they’ll see a page with a link to the catalog next. That leaves about 11% of our users who went astray. Thanks to some demographic questions we asked, we know a little about them and can try to figure out what was confusing or unintuitive to them in future tests. 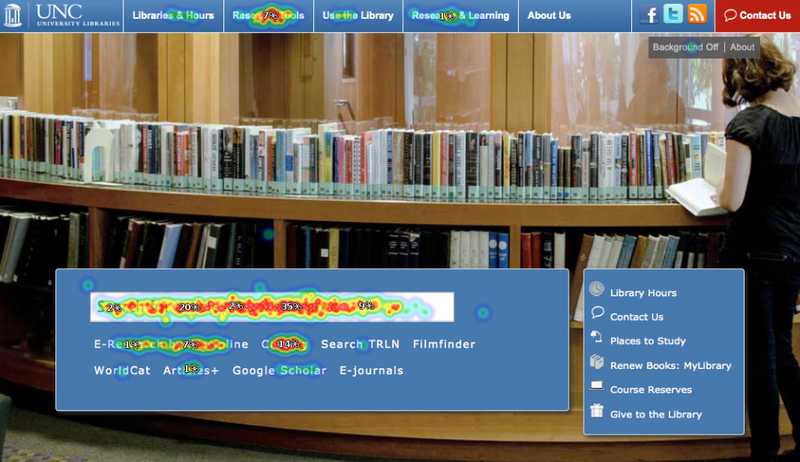 We can also view other heatmaps based on those demographic questions, which is proving useful. Our results mostly validated our existing menu organization choices, but along the way we accidentally discovered something interesting! We provided users with the option to sort items into a category called “I don’t know what these items are”. The original idea was to avoid users sorting an item randomly if they didn’t truly have an idea of where it should go. But a couple of items proved unexpectedly popular in this category, so now we know that some of our naming conventions need to be addressed. Optimal Workshop’s third tool is Treejack, which is designed to test a site structure. We haven’t used it yet, but I’m looking forward to putting it through it’s paces. Our website is an iterative project, one that is never truly finished. Optimal Workshop lets us run frequent tests without significant staff time involved in the execution, and to reach more users than we ever could in person. Even the free plan, with it’s 10 response limit, is still useful enough to get actionable data in the right context. Are any other libraries using it? I’d love to hear what you’re testing. Hi Chad. We’re conducting IA tree testing with Treejack this summer at the Montana State University Library. Helpful here to see your review of Optimal Workshop’s other two services. I intend on writing a similar post soon that outlines our own experience, but in sum its largely the same. Optimal Workshop is well designed and easily provides useful user feedback. Nice! Hi Scott, sounds like an interesting test! Glad to hear you like the suite too. Side note, I ran across your talk on A/B testing not too long ago. It’s been really useful to have a concrete example to show people here, and we’ll likely be following in your steps soon. Thanks for sharing what you have done! I really like the “I don’t like what these items are” category, as well as the idea of having staff take the test separately to compare results. We are currently running a card sort test at our Library with http://conceptcodify.com/ It is currently free to use and allows users to create their own categories if things don’t fit into any of the categories you set up. We haven’t analyzed the results yet, but I think it will give us some valuable data.